There are some people that walk into your life that just leave a huge impression on you. Karin is one of those people for me. I met Karin at a photography conference in St. Louis and we started following each other through Facebook. Through that time we had the chance to meet up and get to know each other more and that girl is like a magnet…I just want to be around her and spend more time with her. Her work leaves my jaw on the floor & her passion for what she does keeps me inspired. (Roger & Karin are the faces behind The Big Picture Project which we will share more about on the blog very soon!) Roger…you married yourself a good one. 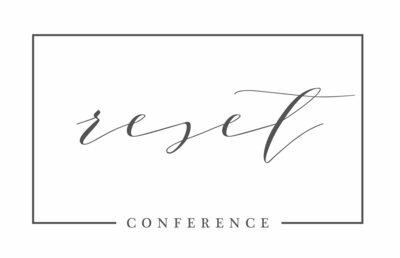 🙂 I’m incredibly excited for you all to learn from them as they share their hearts and passion at a Breakout session at The Reset Conference! We have just a handful of seats remaining and you better register before they are gone!! Meet Roger & Karin Doolin. Pretty stinkin’ cute, right? It might sound cliche, but LOVE. Without it everything feels flat. We’ve photographed couples who pretty clearly aren’t in love, and it is so stifling to creativity. When a couple connects, when every bit of their being shows they are madly, deeply in love with one another it’s not even work. It’s magic. Stories of love, images of love, kindness to a stranger… it’s what keeps me going. Miller’s Lab. They’ve been our lab since the beginning and have never failed us. We can send a product directly to the client – sight unseen and know that it will be perfect. My husband. I assure you – he is the backbone of our photos. He has the thankless job of packing our gear, keeping it all in perfect running order, loading gear, carrying all of it at sessions, listening to me sing on the way to sessions and weddings – sometimes with an imaginary microphone held up to his face waiting for him to sing. He makes the morning coffee and gets us out the door on time and in one piece. He organizes and doesn’t let my sometimes distracted mind lose focus. When a session isn’t jiving and I’m not doing by best he gives me a pep talk and changes the entire dynamic. He is a master at reading light and makes sure we are always in the best possible setting to yield the best results, and can work a reflector like a BOSS. He is the antithesis of all of my weaknesses. I’m literally immobilized without him by my side when I’m shooting. Optimism. Hope. Joy. Sincerity. Compassion. If photos are a reflection of life – I hope when people reflect on the photos we’ve that they see those things. Overdone processing that alters the actual photo to make it into something it wasn’t. I am all about making things look better than they really were as long as that’s done with lighting, angles, and cropping in camera. Adding something that wasn’t there in the photo after the fact to try to make it more interesting cheapens the moment. Cloning out a beer can a drunk groomsman left in the photo is one thing – but completely making the scene into something it wasn’t in Photoshop makes me cringe. I would totally photograph wars, conflicts, or national disasters if I was invisible. Maybe that’s weird, but I would love to document history like that just without the worry of interfering with the scene – or being injured! Lol. 100% to sing. Like majorly rock your world sing. Not just carry a tune singing. Like “I just headlined a world tour singing”. It can be a bit of all three, but mostly where I can barely breathe. My son, my husband, traveling, the kindest group of people I’ve ever met that live in an impoverished village in Nicaragua, and the capacity to tell a story with a camera. There are SO many loves little loves like morning coffee and puppies, but these are definitely the bona fide greatest! 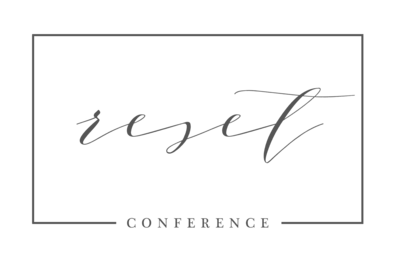 If you know me, you probably know that I have embarrassing moments almost daily – however recently I received an unexpected award in front of a room full of wedding professionals and had to get up and speak. I have no recollection of what I said, but I know it was FAR from eloquent. I’m not even sure that it was comprehendible. My BIG dream would be to travel the world capturing and sharing the story of people living all over the globe through photography. To shine a light on world issues and to encourage others to care a little less about themselves and more about others. And to have legs like Carrie Underwood, but that’s a separate dream altogether. Watching Dateline on the couch with the hubs in our PJs. We keep it hot. Health, to travel the entire world with my husband by my side, and to be a background dancer for Beyonce.